Start your rail vacation in Chicago, with the first day at your leisure. Between the city's numerous museums, terrific shopping, and delicious local cuisine, it will be hard to fit experiencing all that's outstanding about this city in one day. 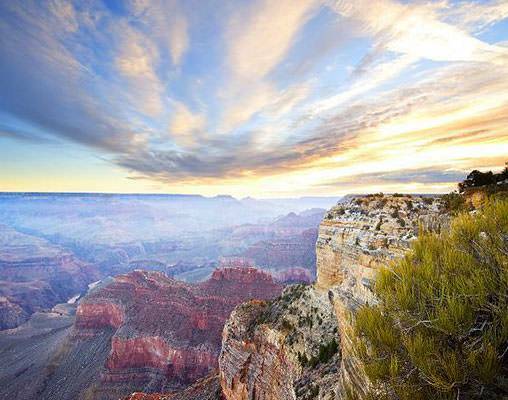 After Chicago, begin your train journey by visiting one of the Seven Natural Wonders of the World, the Grand Canyon. While at the Canyon have the opportunity to ride the historic Grand Canyon Railway to the Canyon's South Rim. 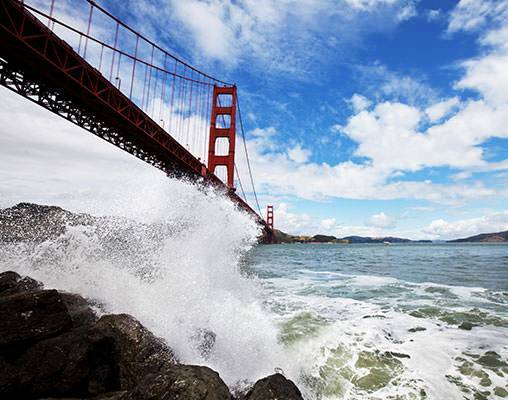 Additional highlights include city stays in Chicago, Los Angeles, San Francisco and Seattle. Continue your journey aboard the Southwest Chief towards Los Angeles. Keep your eyes peeled for a possible celebrity sighting as you get a day to sightsee in this star-studded city. 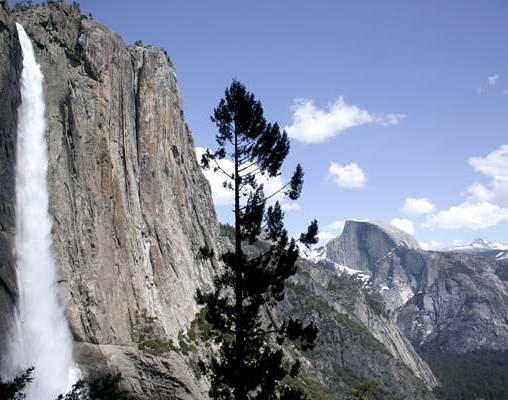 Upon your visit to Los Angeles continue to San Francisco, which is a short motor coach ride to the beautiful Yosemite National Park. The dazzling waterfalls and diverse plant and wildlife are what make this National Park truly unique. Proceed north towards Seattle, where you will board your final train of the trip, the Empire Builder, to gorgeous Glacier National Park. Spend the last part of your journey exploring this stunning National Park, with glaciers over 4,000 years old. Arrive at your centrally-located hotel in the heart of downtown Chicago. Explore the city on a hop-on/hop-off trolley tour and see all the famous sites including the Magnificent Mile, Navy Pier, and the John Hancock Observatory. Make sure to indulge in some local cuisine such as Chicago deep dish pizza. Overnight Chicago. Day 3 - Arrive in Williams, AZ. Spend the day exploring the South Rim on your own. There are several historic buildings worth visiting including Buckey O'Neill's Cabin, the longest continually standing structure in the South Rim; Desert View Watchtower with one of the few views of the bottom of the Canyon and the Colorado River; and Bright Angel Lodge with its small museum honoring Fred Harvey, who played a prominent role in popularizing the Grand Canyon. Overnight Maswik Lodge. Say “Hooray for Hollywood” as you arrive in Los Angeles around 8:15 am. 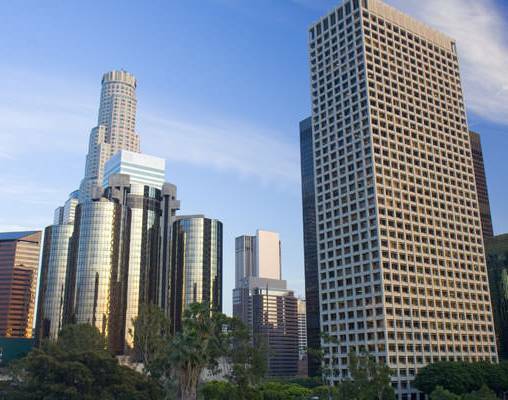 Check into your downtown hotel and take the rest of the day to explore LA at your leisure. Take in the sights, go shopping or dine seaside. Overnight Los Angeles. Discover Los Angeles on a comprehensive hop on/hop off tour featuring over 50 stops! Enjoy the open-air view from a vintage Double Decker Bus as the narrated tour points out landmarks from Downtown L.A. to the beaches of Santa Monica, with Hollywood and Beverly Hills in between. Hop-On or Hop-Off as often as you like to explore major attractions, movie studios or dine and shop at Los Angeles's hotspots. Overnight Los Angeles. This morning arrive at Los Angeles' Union Station to board Amtrak's Coast Starlight for your 10:10 am departure for San Francisco. Spend the day relaxing, reading a book, watching a movie or socializing with other travelers, taking time to enjoy the gorgeous California coastline! Arrive in Emeryville, this evening and transfer by thruway bus to San Francisco. Overnight Fisherman's Wharf, San Francisco. Home to the American Black Bear, Ponderosa Pine, Spotted Owl, and mule deer, Yosemite's biodiversity is bound to leave you breathless. Discover all the beauty of one of the world's greatest natural wonders on a full-day tour to this beautiful National Park. Start early as you cross the San Francisco-Oakland Bay Bridge at sunrise. Then spend the day exploring the Park's five vegetation zones, a guided tour of the Sierra Mountains, and the options of shopping, hiking and dining in Yosemite Village. Overnight Sheraton Fisherman's Wharf or similar. You have a full day at leisure in San Francisco. 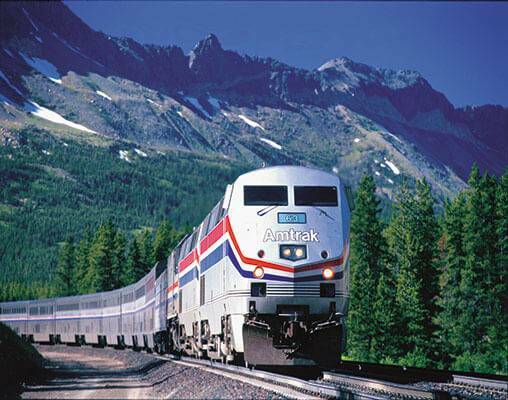 This evening, head to the Emeryville Amtrak station for your 10:00 pm departure aboard the Coast Starlight. Settle in and prepare for the overnight journey to Seattle, Washington. Overnight train. 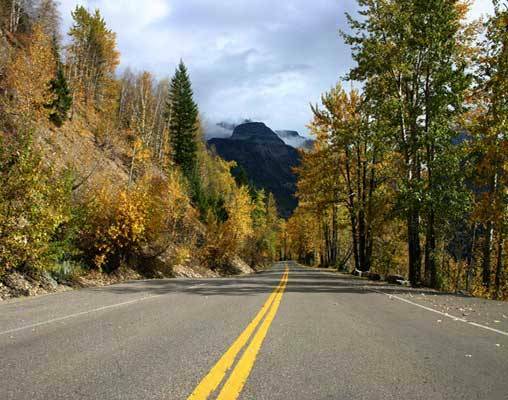 Today embark on an inclusive tour of Glacier National Park that starts with a morning drive over Marias Pass, with wildlife viewing at Goat Lick and a stop at the historic Izaak Walton Inn. After an optional lunch at Lake McDonald Lodge, tour the rich cedar and hemlock forests that lie within the Lake McDonald Valley. Ascend to the high alpine region of the Going-to-the-Sun Road at Logan Pass and down into the St. Mary Valley, stopping at the Wild Goose Island overlook for another incredible photo opportunity. 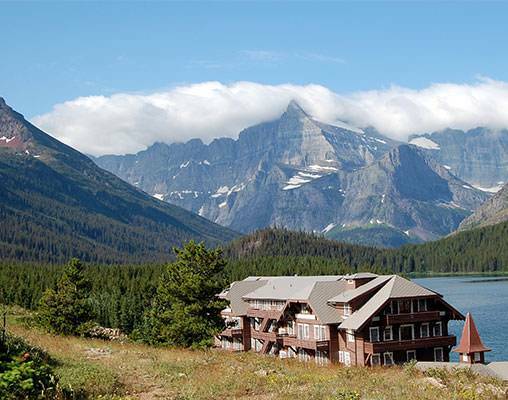 Your excursion concludes with grand vistas of grassland, prairie, and mountains as you arrive back at Glacier Park Lodge. Overnight Glacier Park Lodge. Hotels include the Palmer House Hilton, Grand Canyon Railway Hotel, Maswik Lodge, Sheraton in Los Angeles downtown or similar, Fisherman's Wharf, Westin in Seattle or similar, Glacier Park Lodge. Click here to view testimonials for Canyons, Glaciers & Waterfalls by Rail. We received excellent assistance from our VBR representative who assisted us with our vacation plans... Overall, we received exceptional service on the train and at the train stations. Also, we had a very pleasant experience at the hotels, restaurants, planned sightseeing trips and taxi service. Enter your details below if you would like to be notified when 2020 dates and prices are available for Canyons, Glaciers & Waterfalls by Rail. Daytime journey from LAX to EMY is in Roomette accommodations. Prices are correct at the time this webpage is published; however are subject to change. Vacations By Rail can supply connecting rail from your closest Amtrak Station.